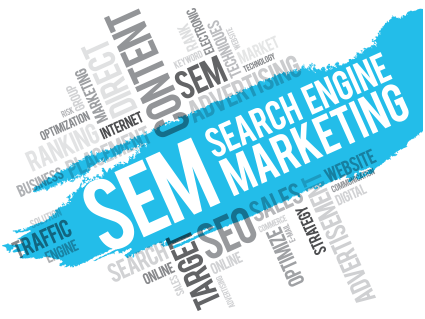 Search engine marketing (SEM) is a combination of paid advertising (PPC) and SEO. The paid advertising helps supplement the organic search traffic to your site. Successful campaigns use both, and we constantly analyze the conversion rates of the services to build your campaigns. We call it “racing to the fail point.” Our goal is always to figure out what doesn’t work as fast as possible, so we can better focus on what does. First we figure out which keywords we’re going to focus on. 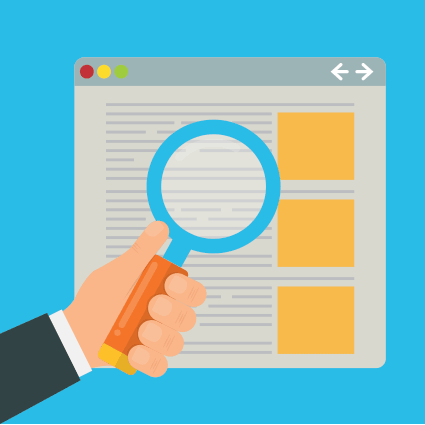 We find the best low-competition keywords and phrases that will get you ranking. We build your campaigns, figuring out the best messages. We write and create compelling ad copy and banner ads to make you stand out. Getting traffic is easy, but what happens once it gets there? We write and design stunning landing pages to attract leads and increase engagement. Once all your landing pages are optimized, we set up your campaigns in Adwords, turn them on, and begin tracking your traffic! This is where we analyze your data to cut out what isn’t working. Then we hone in on what does, and iterate—as many times as it takes. Where all can I place ads? You can do paid ads wherever you’d like! We use Google Adwords, social paid ads (such as Facebook), and other search engines such as Bing and Yahoo. We’ll pick the ad networks when we develop a strategy that’s tailored to you. What’s the difference between paid advertising and search engine optimization? Paid advertising (PPC) are ads you pay to have displayed alongside organic searches, and are designed to drive traffic to your landing pages. Search engine optimization increases your organic ranking and traffic, but those natural clicks are unpaid. Both are important parts of your SEM strategy. Can I do one without the other? It’s not recommended that you do only SEO or PPC. Performance is based on two things: Site conversion rate and an optimized, well-managed paid campaign. If you have to pick one, then we might recommend PPC initially, but let’s talk it over. Yes! While this approach does not work for SEO, this is just right for a Pay-Per-Click campaign. We begin to see results immediately with PPC, and so can determine what is working (and what is not!) much more quickly. This means we can start small at first, and then double down later once we’ve zeroed in on what works best for you. When you pay for PPC you are paying for two services. Google has fees that we do not mark up; you pay directly to your Adwords account. You also pay your agency for research, production, and campaign maintenance. An SEO-only campaign typically takes 6-months to a year to show returns. This is great for a steady account. However, a surgical PPC advertising campaign, managed by certified Google pros, finds the right traffic and increases engagement. PPC will start driving traffic the day we turn it on. We will take care of the bulk of the work for your PPC campaigns: designing and writing ads, running and monitoring campaigns, and implementing any changes. All you’ll need to do is determine what it is you’re offering with these ads. Is it a brochure, a contest, an ebook or other download, or something else entirely? We can help you brainstorm, but the final decision will be yours.